For the second night in a row, King Xerxes and Haman attend a dinner that Queen Esther has invited them to attend. On this night she will inform the king who she is, who her people are and request for their lives to be spared. She has so much riding on this request – her very life and the life of a Jewish nation! As I read this story, I had to stop and wonder what was going on in Esther’s mind as she waited another twenty-four hours to serve the second night’s dinner party. Did she have a sleepless night like the King did? Did she lay in bed and worry or feel anxious? I know that I would have had a few worrisome thoughts for sure! As the king asked her to share with him her request, did she feel afraid or worried? Did it feel like her heart was going to beat itself right out of her chest? She may have, but she had a strong faith in God and took a very courageous stand for her people, the nation of Israel. Scripture doesn’t tell us, but I believe that God provided Esther with His peace that night, as moment by moment He unveiled His purposes for her, and she proceeded forward in obedience. I tend to be a worrier by nature. Throughout my life, I have had to take time to learn how to fight my worries with truths from the Word of God. There is a passage in the Bible that I often go to when I am feeling worried or anxious. Perhaps you are familiar with these verses as well. Today, I will share some thoughts/ideas from these verses that have been helpful to me. I hope you will be blessed and encouraged too! 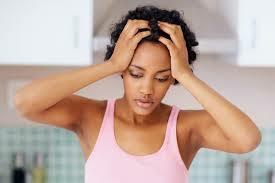 Worry is completely un-productive, burdensome and oh so exhausting. Yet, it is something that each and everyone of us experiences, and at times find it hard to stop doing. I am so thankful that God is well aware of our human tendency to worry. He scattered throughout His Word, the Bible, warnings against it and advice on how to deal with it – like the verses in Philippians 4:6 & 7. 1. “Do not be anxious about anything”. These verses do not start off with a suggestion not to worry. Instead, the words “do not” imply a command for us not to worry. When I feel anxious or worried, I remind myself that my choice of behavior is actually disobedience to God. 2. When worries hit us, I think it is important to get to the root cause of the worry. I don’t mean evaluating the situation that is causing the worry and analyzing it. Worry is caused by much more than that. The foundational cause of most of our worry and anxiety is unbelief in God! Worry and unbelief is actually an attitude of unbelieving mistrust. We don’t actually believe God will help us or trust that He will. We may question if He sees us, or doubt that He even cares for us. I like to call this an anemic faith. When I notice that worry has slipped into my thought process, I will ask myself this, “Do you really trust God, because that is what your attitude and actions are showing?” When this happens, I like to confess my unbelieving emotions to God. Next, I will remind myself verses on God’s character and verses on trusting Him. If you want to dig a little deeper with this, I would encourage you to take a journal and research by going to the website: www.biblegateway.com and request verses on trust and God’s character. Write them down in your journal or on a piece of paper in your Bible, and then turn to these verses when your faith is anemic. It will strengthen it! God, this (fill in the blank) is causing me to worry. I’m going to give this to You to handle. Give me your wisdom and strength to carry out my part in dealing with this. Help me understand the real reason I worry about this so You can set me free from my misperceptions. In the meantime, help me not to worry about it. If I begin to worry about this again, gently remind me that You are handling it. I know I can trust You to lead me through this situation because I know You love me and have promised never to leave me or forsake me. Amen. My sweet friend, anxiety and worry is a sure sign that you need to pray. Prayer is the release valve, the dumping ground for your worries. As you read on today, you will notice that God replaces worry with a priceless treasure! Here is another idea to try – Create a thankful board in your kitchen or someplace else in the house you are frequently in. (The new chalkboard sign designs would be an adorable idea!) Write down the things for which you are thankful. When you are needing to be reminded of God’s goodness, go to your thankful board and read what you have posted. 5. “Present your request to God”. I love these words. The creator of the Universe, loves me and wants to hear me talk to him about my heart’s desires and concerns. When presenting my request, I like to remember that I am speaking to the One who made me, who loves me more than I can fathom, and desires an intimate relationship with me. Even though he already knows every thought before I even think it, I can still talk to him about it. This awareness – of His love for me…His nearness…His understanding of me – has a way of putting my worries into perspective. 6. “And the peace of God which transcends all understanding, will guard your hearts and minds in Christ Jesus.” Peace this is the treasured gift God gives us. However, we often forget that the peace He gives us when we are worried, is conditional. It works only when we fulfill the conditions stated in the first part of the verse: “Do not be anxious about anything, but in everything, by prayer and petition, with thanksgiving, present your request to God.” God promises us His peace when we lay everything at His feet and praise His name. I hope you will remember these verses the next time you feel worried or anxious and obediently live them out. As I close out this week’s devotional, I want to leave you with this thought. It is much easier to be set free from our worries when we are obedient to Scripture, turn our worries over to God, and focus our minds on Him. Have a grace full week, turning your worries over to God, thanking Him, and allowing His peace to fill you!